HD pumps have the same interaxis of ISO 5199 chemical norm pumps, this means easy interchangeability. Casing and impeller manufactured with investment casting technology. Standard IEC motor (different brand available) with stub shaft design. Possibility to choose seal arrangement: single, bouble tandem, double back to back and packing gland. 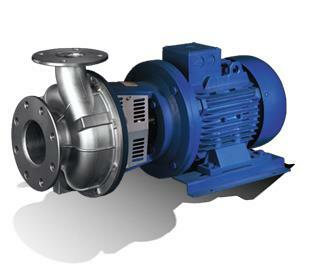 HD pumps can handle aggressive organic and inorganic liquids in chemical industries. They are also used in general industrial service, foodstuff industry, water/solvent recovery process, power stations, steel industry and small evaporator plants. HDM - HDA: Close-Coupled with standard B5 electric motor.